Did you hear the one about the bubbly young Indian woman from Pune who started working with a bunch of cranky old American and British analysts? 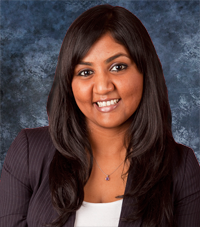 Well... after a year of contributing to our research, we're delighted to announce that Reetika Joshi has joined our full-time team to crank up our - already cranky - BPO and analytics coverage. However, one distinguished gentlemen who'd be embarrassed to even consider making said claims, was involved in setting up shared services and outsourcing frameworks for organizations long before those concepts even existed... and long before many of today's sourcing professionals were even born. 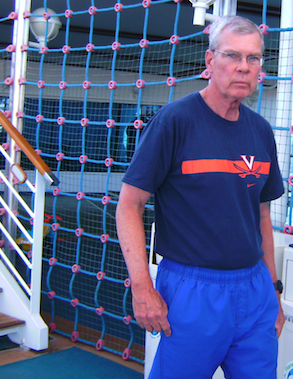 In Dr. Charles Aird’s four decade-plus career, he’s been a math professor, organized a state supreme court IT system, did business process outsourcing before it was BPO, and pioneered Global Business Services. For Charlie (as he's known in the business), it’s really all about planning and structure. 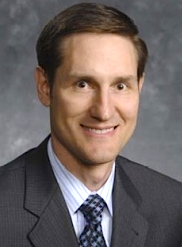 He’s been CEO and COO for several industry organizations, and a senior figure in Big 4 management consulting. 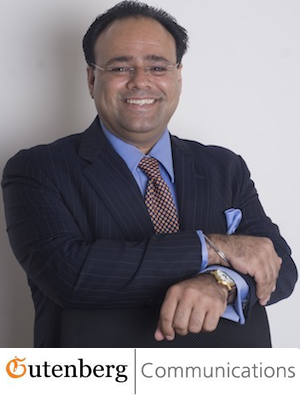 He’s crafted his career as an internationally recognized expert on evaluating companies and markets for sourcing potential, having lived and worked all over the world — including spells in Saudi Arabia, India, and Singapore, in addition to working in the United States and Europe, Latin America, Asia-Pacific and the Middle East. Today, he's avidly shaping the Global and US Practice for PricewaterhouseCoopers Shared Services and Outsourcing Advisory, where he's clearly not lost his appetite for global travel and working with clients right across the world. In fact, I cannot recall a conversation with him where he wasn't scrambling to find a quiet corner of whatever airport he happened to be passing through at the time. Oh... and before we begin our interview, please remember to sign up for this Wednesday's webcast, where Charlie will join us in discussing the Evolution of Global Business Services. Part I of this interview focuses on Charlie's early career and how he's arrived at his current role in PwC, leading the firm's US and Global Shared Services and Outsourcing Advisory. Phil Fersht: You have been a veteran in this industry for many years now. Who is Charlie Aird? How did you get started, and how did your career develop to bring you where you are today? Charles Aird: To start with, I was ‘outsourced!’ I was a university professor and I got outsourced to Saudi Arabia. Ahmed Zaki Yamani ((Minister of Oil and Mineral Resources from 1962 until 1986 for Saudi Arabia) worked with the King Fahd University of Petroleum and Minerals back in the early 1970s and built the university with help from several American universities such as CAL Tech and MIT. I set up the mathematics department, and helped set up the College of Industrial Management. 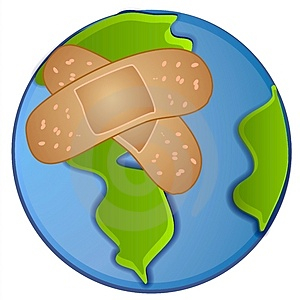 Is the HP Band-Aid being re-applied? We gave Léo Apotheker a strong benefit of the doubt when he recently ripped off HPs proverbial Band-Aid and made a series of tough announcements that could steer HP on a more coherent enterprise path. Sadly for Léo, his board is clearly in a position where they are unhappy with the progress made under him and want to bring in a very different personality in eBay's Meg Whitman. Coming so soon after the quickfire announcements last month, this can only indicate the HP board are divided on whether Léo was doing what they wanted for the business. They may also have felt that Léo was making decisions without consulting them. Bringing in Whitman indicates they need a strong personnel leader and a consensus builder to repair their fractured leadership and try and come up with a strategy with which they are all comfortable. Whitman is unlikely to be a strategist - she is the type of personality to reset the current position of the firm - and could possibly even reverse some of Léo's recent decisions (although Autonomy seems like a done-deal). Here at HfS, we do, however, watch one of HP’s businesses very closely—its outsourcing unit. Phil has blogged in the past about the confusion and challenges faced by HP, and let’s face it, it's never easy to run a company that big, that diversified, and that volatile. There are rampant rumors emanating from several sources that Léo is out and Meg Whitman is in. I don’t know if Mr Apotheker will survive this crisis, but its clear that the outsourcing business has been neglected by two successive CEOs. Within the same week, different HP executives told us that “BPO would be their growth engine” and that “BPO was an afterthought, a business we’d rather not be in.” Within the same week. Newsflash: just because buyers aren't always in a rush to outsource, doesn't always mean they are too "short-term focused" or simply "missing the big picture". When you talk to some (and the operative word being some) advisor and provider executives, they are convinced that every company needs to outsource as much of their operations as they can – and as quickly as they can - so long as they can make the numbers work. It's this attitude that - in my view - has been holding the outsourcing industry back. 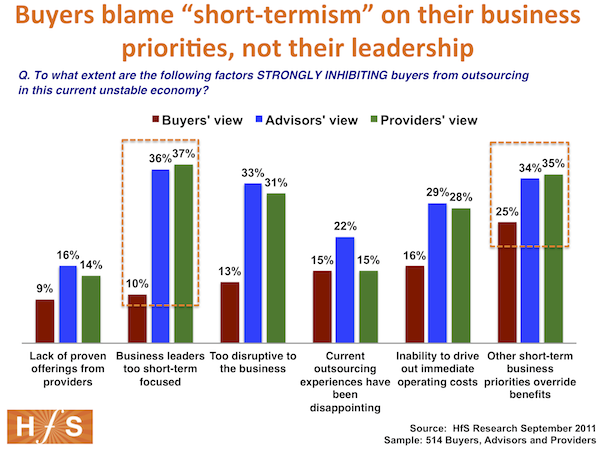 Too many provider and advisor executives are overly myopic in their view that business leaders must be "short-term focused", simply because they don't pull the trigger on deals fast enough. Providers - once in a relationship provide a constant source of information. Buyers really start to leverage leverage their providers for help once they start working with them and their destinies become intertwined. Since most organizations today are already in outsourcing relationships, it is very easy for buyers to call up their provider contacts and ask for help and information, even though their experiences are usually limited to only those of their other clients. Moreover, our recent State of Outsourcing Survey revealed that 40% of buyers are yet to be convinced that their providers have the know-how to help produce long-term business benefits for them. In fact, an increasingly large number of providers are asking HfS to help their clients - they have the greatest urgency to educate and keep them informed with objective, credible data and advice. Analysts - they make themselves accessible. Most large firms already have subscriptions in place to access reports and tee-up calls with analysts to bounce around ideas. Whether the advice is any good is another issue, but the fact that the leading firms make themselves accessible and (relatively) affordable keeps them top of mind when critical decisions need to me made. 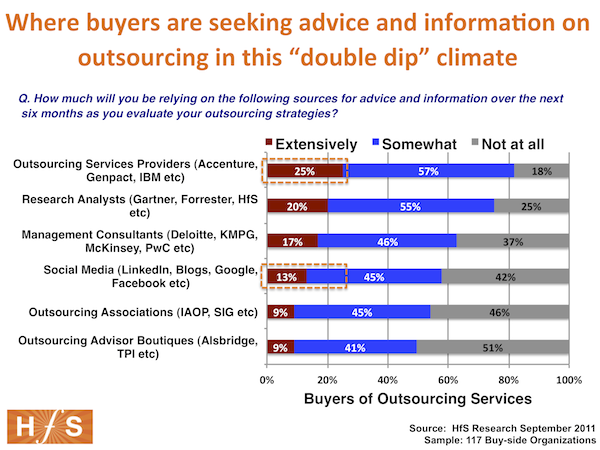 The downside is that it's pretty tough to help clients with such complex and sensitive issues such as outsourcing over the one hour phone call, but smart outsourcing buyers know how to leverage these firms to get the datapoints they need. Management Consultants - have upped their outsourcing game. Consultants have really made their presence felt, with several of them having developed comprehensive expertise to support their clients when the "O" questions start popping up. Smart clients can also squeeze a lot of info out of the without having to summon the MBA bus to their parking lot. Moreover, some of the leading consultants are much better equipped to run small-sized engagements these days, especially with experienced clients who don't need to overhaul their entire operations strategy to understand which service provider can process their invoices best. Furthermore, buyers see the cost savings opportunities, but realize they need more than $20/hour Indian programmers and $15/hour Filipino call center agents (as we recently revealed here). They need re-engineering, better systems, etc, so many turn to the consultants for help, because their providers haven't been able to deliver much more than the cost savings. Social Media - becoming a significant channel for advice. The surprise package here, with close to 60% now leveraging the likes of LI groups (we have more than 14,000 in our group alone), blogs, Google Plus and other tools to get help. Essentially, there are a lot of knowledgeable sourcing folks getting connected these days, and they're getting easier to seek out. 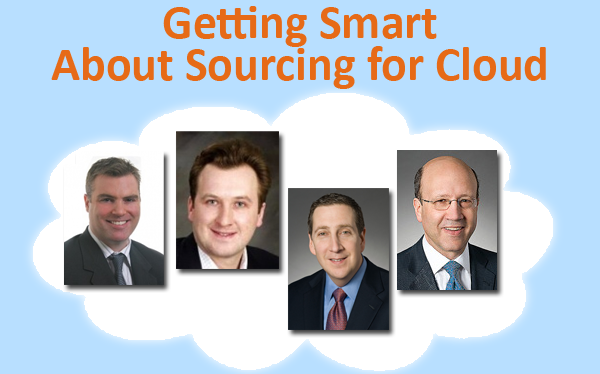 A lot has changed over the last five years in the outsourcing business. Has it really? I hear you cry. OK - you may have a point, but one thing is evolving - the emergence of some of the major Indian service providers as credible HR delivery firms. When Indian service providers were originally mentioned as budding HRO providers, many HR executives would respond "we couldn't possibly entrust such sensitive HR processes with offshore firms". Since then, many Indian service providers - and other global organizations with large Indian captive organizations, have become exemplars of how to develop, manage and motivate talent. One US C-suite executive even recently broached the topic of bringing Indian service provider leadership over to the US to help educate US firms on how to develop a competitive talent development culture. Genpact may not be a well-recognized name in HR circles but in the business process outsourcing (BPO) world they are a premier BPO provider, especially in finance and accounting (F&A), procurement, IT, and other process areas. That said; the company’s recent acquisition of the HR services subsidiary of Nissan Motors in Japan is a significant statement about its ambition in the HR BPO market. According to Anju Talwar, Head of HR services at Genpact, we should expect to see Genpact sign several more strategic HRO customers in the next couple of years. Talwar says Genpact plans utilize the capability gained in the Nissan deal to offer HR services to other customers in Japan and other Asian countries. 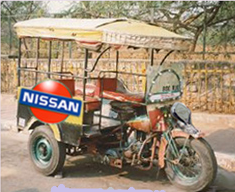 Nissan, who had a previous F&A and procurement BPO relationship with Genpact, has expanded the relationship to include HR services to 54,000 employees in more than 20 offices in Japan and other parts of Asia. In all there are about 200 Genpact staff supporting the HR processes. Many of the staff are located in Japan but some work is also processed from a Genpact center in Dalian, China. Genpact has more than 3,000 employees in China. The scope fo the Nissan deal includes: payroll, benefits administration, career development, portions of recruiting, an employee call center, and other HR processes. Genpact got its start in the 1997 as the internal shared services arm of GE Capital. Know then as GECIS, the Indian captive shared service center served as the back office for many divisions of GE. In 2004, GE sold a share of GECIS to two private equity firms and it became independent in January 2005. This enabled the company to diversify its customer base beyond GE. It changed its name to Genpact and the company went public in 2007. Many of it early non-GE customers hired Genpact to manage finance and accounting transactions like accounts payable, account reconciliations, and payroll. The company now has more than 51,000 employees, $1.26 billion in revenue, and offers a broad range of BPO services. Payroll was the process the got me talking to Genpact when I was leading the HR outsourcing business at Ceridian. I was looking to increase the efficiency of our managed payroll business and sought a partner to support several payroll processes from an off-shore location. This occurred in 2006 and even then it was clear to me that Genpact wanted to expand into other HR BPO services. In fact, had it not been for the “great recession” we might have seen several more HR BPO contracts signed by Genpact in the last few years. Payroll is not the only credential that Genpact has built upon to develop its HR BPO business. Its GE heritage has left a deep and innovative HR culture at the company. Talwar points out that many of their HR service engagements begin with a conversation with customers who are interested in emulating some of Genpact’s internal HR programs. This comes as no surprise to me. When I was traveling around India in 2006 talking to several Indian BPO providers, I recall being very impressed with the Genpact’s talent management practices. Its recruiting, performance management, and training processes rivaled the best I had seen anywhere in the world. The GE heritage also embedded a vast Six Sigma competency that is not only used to increase operating efficiency in the outsourcing centers, but is also used extensively in client process improvement engagements. The outcome of this deal could have a significant impact how much progress Indian outsourcers make in the HR BPO space. In addition to Genpact, Infosys, Wipro, Caliber Point, TCS, and some smaller Indian providers have active HR BPO practices. Each has customers in the North American market but none have experienced rapid growth here. If Genpact has success with the country/ regional model that it has with Nissan, we may see others follow with similar approaches. Genpact certainly has a lot of skills to employ in the HR BPO market. The Nissan engagement could very well be a significant proof-point that will help propel the company to higher prominence in the HR services marketplace. We should see in the next couple of years if Genpact does indeed continue to “drive” its HRO business to significant growth. Today marks an exciting day in the development of HfS Research as a global advisory analyst organization - we have selected sourcing and software PR and communications specialist Gutenberg to orchestrate our global research communications to the Americas, European and Indian markets. Communicating what global sourcing is all about to real business people is broken. We believe that the biggest problem with the sourcing industry today, is a broad failure to communicate the challenges and opportunities posed by global sourcing to mainstream business people. Accountants, technologists, procurement specialists, operations experts and so forth did not go to outsourcing school and likely never will. Most of today's providers, advisors, analysts, academics etc are so wrapped up in their own vernacular that they end up marketing and talking to each other as opposed to the people who really matter: the buyers. Our goal at HfS has consistently been to cut through the jargon and explain to business and IT professionals what global sourcing is all about. To do that, we need to take our insight and get it to the broadsheets, the politicians, the lobbyists, the investors, the big business media. This partnership will tackle the communication challenges of sourcing in a coordinated global fashion. Gutenberg is entrenched in the sourcing industry and understands the core industry communication challenges. In addition, they have prominent teams in India, in addition to the US and Europe. Much of the heartbeat of the sourcing industry is emanating from India, with a feverish media industry - and their issue has often been to get the issues discussed globally. We believe our combined global teams can work together to change this dynamic. With the growing HfS presence in India and Europe, in addition to the US, we believe this is an ideal partnership to bring together the global story. 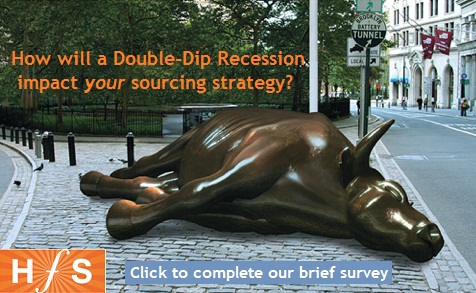 In case you still haven't, then you must take our new quick-fire survey. Heaven-forbid we're on the cusp of a tough economic period - so how will this impact outsourcing and shared services dynamics after all we've been through this past few years? Whether you buy, advise or sell outsourcing services, we need to hear from you - and we'll package up a report of the findings for your time. As always, we appreciate your support for helping our research teams keep close track of the industry.